A champion bodybuilder has today admitted running a nationwide steroid dealing operation. Phil Musson, 44, was a “significant importer, manufacturer and supplier” of performance and image-enhancing drugs, including anabolic steroids, a court has heard. Musson pleaded guilty to 156 charges laid under the Medicines Act 1981 at Christchurch District Court today. He also pleaded guilty to two police charges of forging a driver’s licence and using that fake document. Another 155 charges were withdrawn after defence counsel Pip Hall reached an agreement with Ministry of Health lawyer Sarah Jamieson. Musson, of Bishopdale in Christchurch, appeared in court from custody after police alleged he had been offending while on bail. He now faces a long wait behind bars until he is sentenced on June 27. Judge Brian Callaghan called for pre-sentence reports including one which assesses Musson’s suitability for home detention. An application for electronically-monitored bail has been set down for April 26. 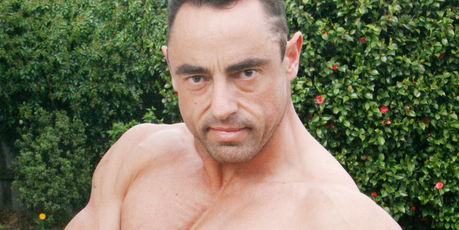 The personal trainer was named Mr New Zealand Athletic at the 2005 national championships, crowned Mr Christchurch Physique 2009 and competed in last year’s National Amateur Bodybuilding Association Asia Pacific Bodybuilding championships.